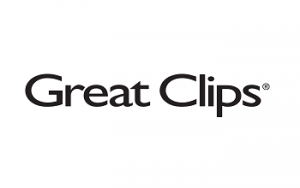 At Great Clips, we have taken great pride to establish our name brand over the past 30 years. Starting with a single salon, we've worked hard to create a salon brand that provides customers with incredible convenience, affordability and a consistent, high-quality experience. Great Clips is a relatively simple business model: a walk-in, convenient haircare salon that allows for franchisees to own multiple units by managing the manager. Some franchisees choose to maintain their full time job while starting out their Great Clips business and transitioning into full time entrepreneurship after owning 5-6 salons. One of the many reasons Great Clips has surpassed our industry competitors is due to our technological innovations, which have not only lead to a more convenient and satisfying experience for our customers, but has placed us on the forefront of the future of the industry. Great Clips franchisees do not need to have any haircare experience to succeed in this business. Great Clips looks for people management skills, business knowledge and the ability to follow a system. There is extensive training available and support for every step of the franchisee process- from selecting real estate sites through the buildout, grand opening, and continued conversations about growing into multiple units. It is YOUR business, but Great Clips will provide the tools and process to help you succeed. Starting a Great Clips franchise comes with 24/7 support, not only from our experienced staff and proprietary software, but the network of Great Clips owners as well. We help our Great Clips owners staff, train, and market their salons while also providing constant support. With a network of more than 1,000 owners and an innovative executive team behind you, you are never alone. There is always someone who has been in your shoes and can relate to exactly what you’re experiencing. Once you join Great Clips we can help you establish a quality site.